Lease Now to Receive Two Months Free! Offer available on select residences. Call for complete details. We get our prices directly from The Aura. 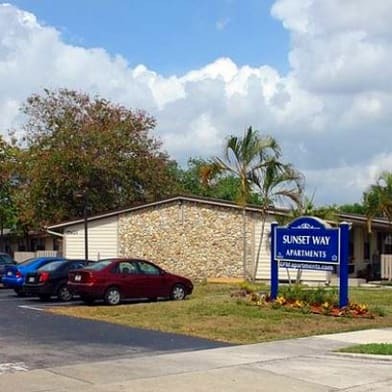 There are 46 units available at this place. Within The Aura, you'll find the latest, most inviting apartment rental favorite in Miami's ultimate neighborhood - Coral Gables. Located minutes away from the best the city has to offer, The Aura was designed with comfort, function, and style in mind. Choose from our variety of studio, one- and two-bedroom floor plans, each crafted with modern finishes and classic comforts that you want and need. From the moment you step inside, The Aura's designer lobby offers that sense of arrival that makes you feel at home. 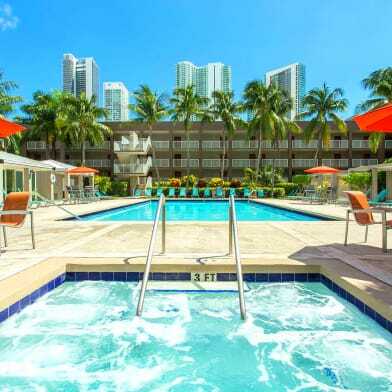 Our 6th-floor resort pool and sundeck allow and invite you to enjoy Miami's tropical sunshine year-round. At our state-of-the-art fitness center, you can focus on your health and wellness in style. In the mood to get out? The Aura sits perfectly within Miami's most highly-coveted neighborhood, where dining, shopping, entertainment and culture abound. Parking Details: Garage lot, assigned. Garage Parking available. Please call us for complete Parking information. Have a question for The Aura?